Last week I was fortune enough to be part of a project harbouring the rarest kind of energy— generated by the sharing of ideas and emotions among young and old. 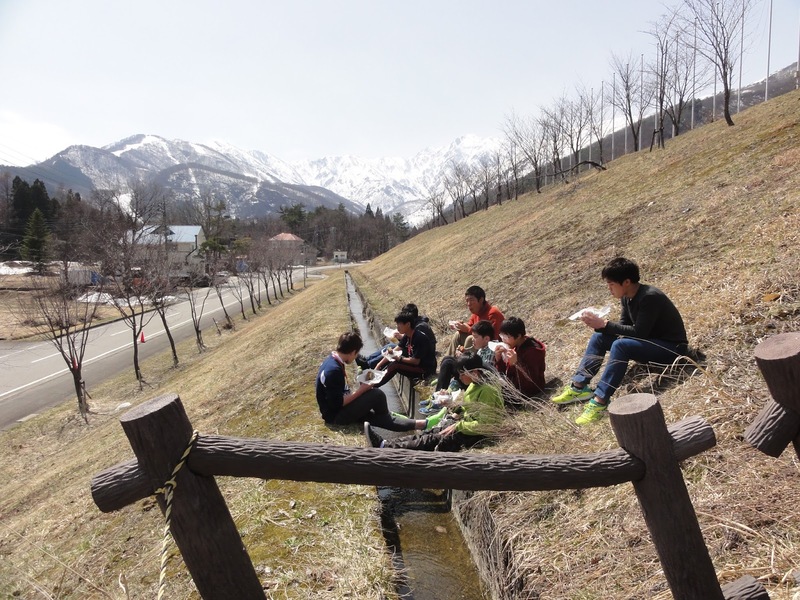 Through unrelenting determination, one Japanese lady by the name of Tomoko managed to gather a bunch of Japan’s most talented individuals to teach native Japanese high school students within the natural setting of Hakuba. 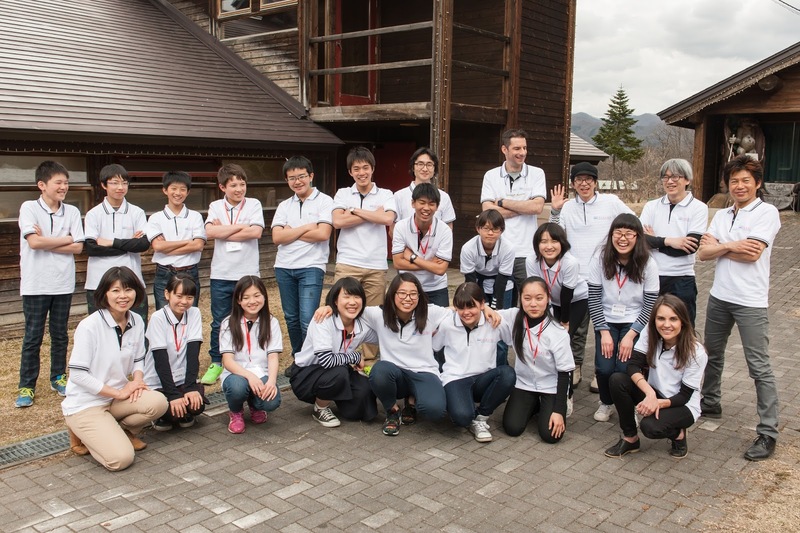 Situated within Japan’s northern alps, the first day saw 17 nervous students enter the retired Norwegian Olympic ski lodging and collect their name tags. With the furthest student travelling all the way from Kyoto (6 hours away by shinkansen), majority of them commenced the 5-day spring program as strangers. After spending most of our waking hours together, many of us left as Facebook friends with genuine intentions to meet again. The daily line-up of presenters and visitors rivalled that of any well-established private school within a major city. With the CEO of Yahoo Japan stopping by as well as the mayor of Hakaba, the students weren’t to know who would walk through the door next. The program they knowingly signed up for included an introduction to robotics, programming, animation and traditional Japanese music. Each facilitator delivered lessons which highlighted their expertise; exhibiting their exorbitant passion and knowledge towards their chosen field. This article will introduce you to these people and provide some insight into the stimulating programs they delivered. The intriguingly quiet duo were invited to present and share what they’re currently working on with students at Tokyo University Research Center for Advanced Science and Technology. Before even meeting them, a giant cardboard robotic hand greeted everyone and spruiked the pairs’ accomplishments and humble brilliance. 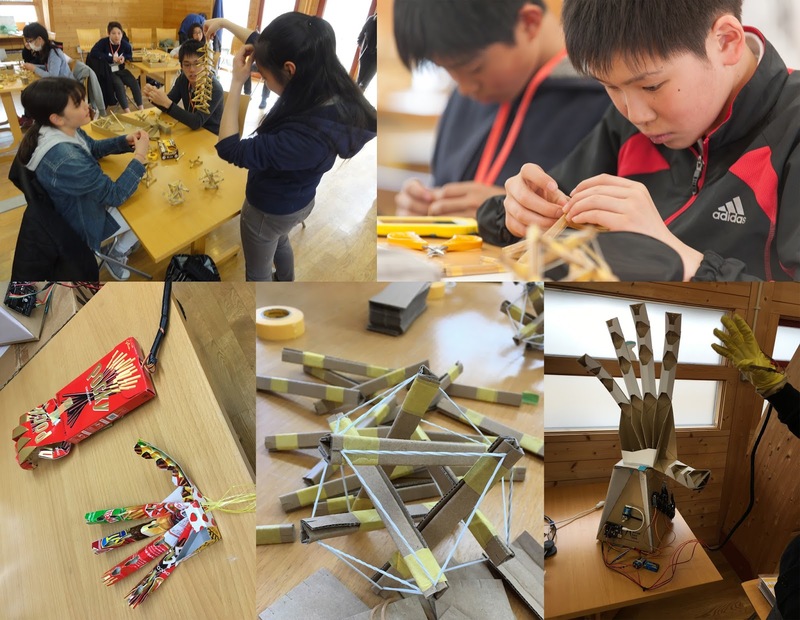 One of the daily sessions offered students the opportunity to construct their own robotic hand, made entirely out of household materials (cardboard, plastic string & sticky tape). The model demonstrated the basic function of the hand’s tendons and could even be constructed from recycled packaging such as Pocky boxes (see below video). On the first day students were given a small cardboard box which resembled the housing of an old disposable camera. They were instructed to open it and delicately handle the small exposed circuit board inside. No larger than a standard iPhone, I was shocked to learn that once connected up to a monitor, mouse and keyboard, this was a fully-operational computer. Over the course of four days, students used a beginner program known as Scratch to learn how to create their own basic computer game from, well…scratch. On the first day they learnt how to move the template cat character across the screen. On the final day, most students had not only built their own kawaii character, but had them moving in all directions on a background similar to my unsophisticated attempts to create art using Microsoft Paint. While the facilitators didn’t intend for students to complete their games, they wanted to highlight that programming is much more straightforward than most people assume. To put it simply, it’s writing a detailed recipe for the computer to follow—one which you can expect it to follow exactly, even if it means adding the shell along with the egg. With such limited time, Taguchi and Ishihara taught the students how to write a very basic recipe, which over time they can expand on and begin to experiment with confidence. 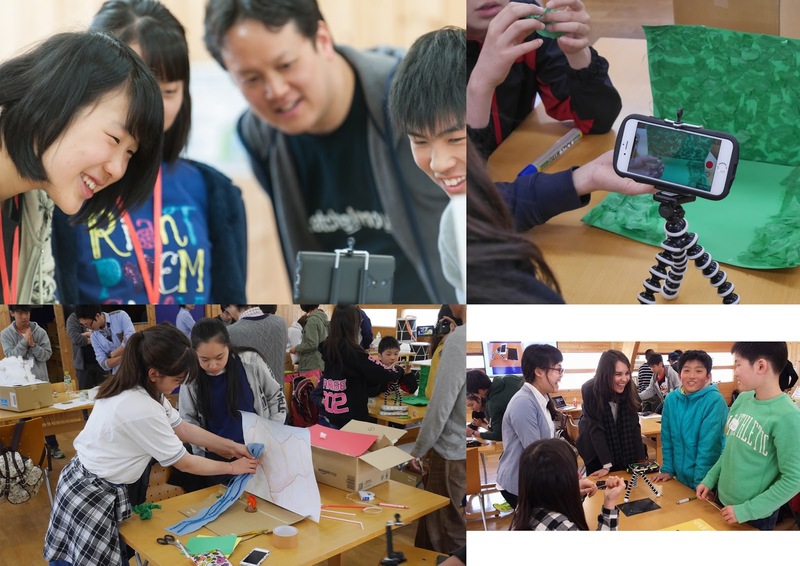 The University of Tokyo is holding an annual Scratch Day on the 21stof May. If you’re in Tokyo, you can join in on the free event with 600 other expected attendees, ranging from beginner to freakishly proficient. While my program was focused on teaching students the basics of stop motion animation, its challenges was double-pronged because I presented everything in English. Despite English being a compulsory subject in high school, none of them were confident speakers and majority of the students had to rely on the few who could translate in order to understand what I wanted them to do. This additional element beared hefty pros and cons, as it forced students to work more closely together whilst creating a barrier between myself and those who were fearful of using English. The main objective in teaching students how to create a short animation was to get them to express themselves creatively. After showing them the method and some examples, I left it up to them to decide what the final product would look like. This proved very challenging, as for most students, making decisions as a group is not something they are regularly exposed to or feel comfortable doing. Having dealt with Japanese companies previously, I knew that (generally speaking) Japanese people struggle to make instant decisions, especially on behalf of others. I knew my request was going to spin them out, however, what I witnessed was even more concerning than I’d imagined; greatly impacting on time and the level of creativity among projects. On a number of occasions I felt like a bully, refusing to move away from a group until someone spoke up or took initiative. I think the conflicting expectations and attitude towards group work provided a great learning experience for everyone involved. Despite many set-backs, by the end of the program most of the students spoke fondly of making collaborative art. From start to finish, students had five and a half hours to familiarise themselves with an application called Stop Motion Studio, create a storyboard, construct clay characters and a paper set and shoot over 300 stills in order to create a short animation. Below is one example of what was achieved within this short time-frame. Kano is a highly regarded, talented musician who is introducing the world to traditional Japanese music one country at a time. Although he claims to have produced many styles of music in the past, his pride and joy is his bamboo flute. Watching him perform each day for the students was a moving spectacle, as his energy and passion transferred just as loudly as the high-pitched flutter of the flute itself. Kano’s program was jam-packed with the sound of music and bustle. 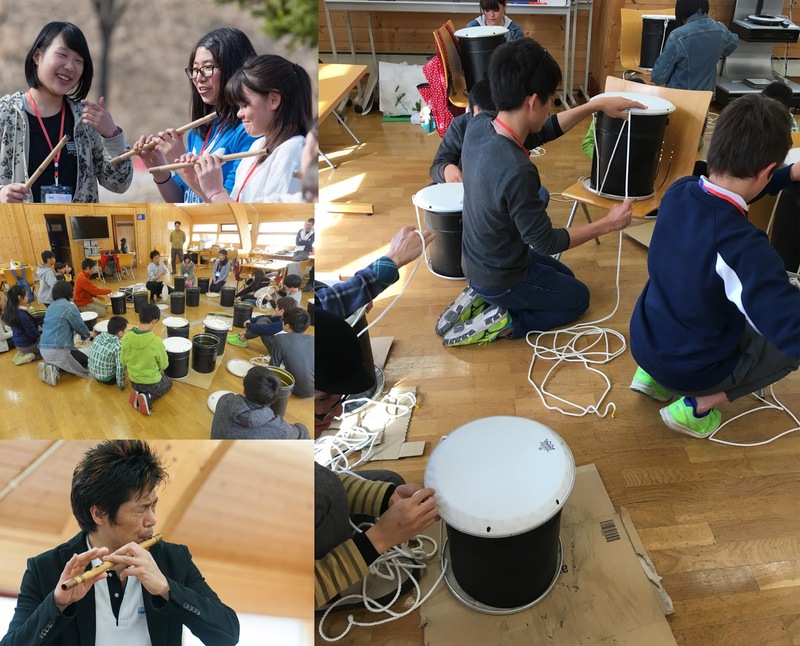 On day one, the students made a small bamboo bird whistle, on day two they’d produced their own drum from a recycled tin can. Day three saw them receive their own plastic flute which transferred me back to my own school days in the music room, achieving ear-combusting squeals from a manila coloured recorder. By the final day, under Kano’s led, students could echo the basic chords of his flute and harmoniously integrate with his impromptu melody to create something much more pleasurable than Mary Had a Little Lamb or Hot Cross Buns. The final performance was a collaborative effort to celebrate all four programs. The robotic hand was turned into a mikoshi (portable Shinto shrine), which is most commonly used at festivals to transport a deity from the main shrine. The paper backgrounds featured in the animations were used to decorate the mikoshi. The hand was programmed to move throughout the procession whilst students marched up hill to the sound of flutes, cymbals and drums. 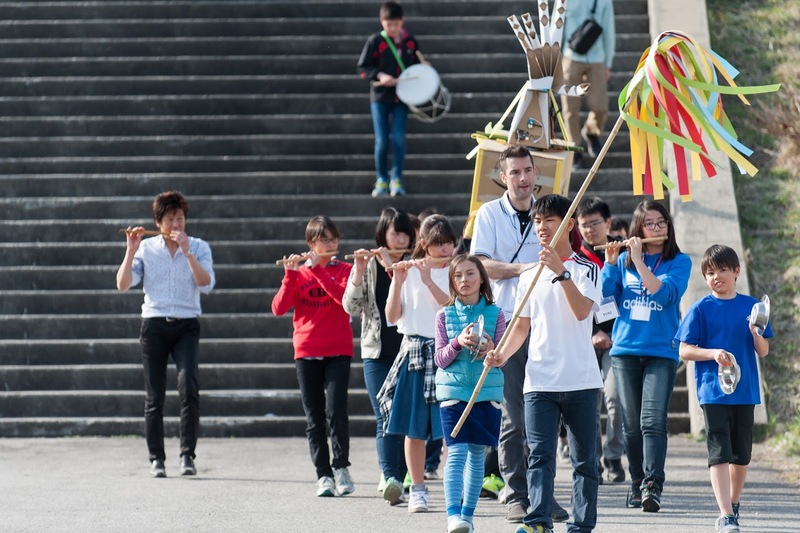 Whilst there was a humorous element to the exuberance of it all, its delivery was taken seriously and at no point did the students fall out of character, acting as though they were really part of a matsuri (Japanese festival). Chris is the former principal of the The British School in Tokyo. 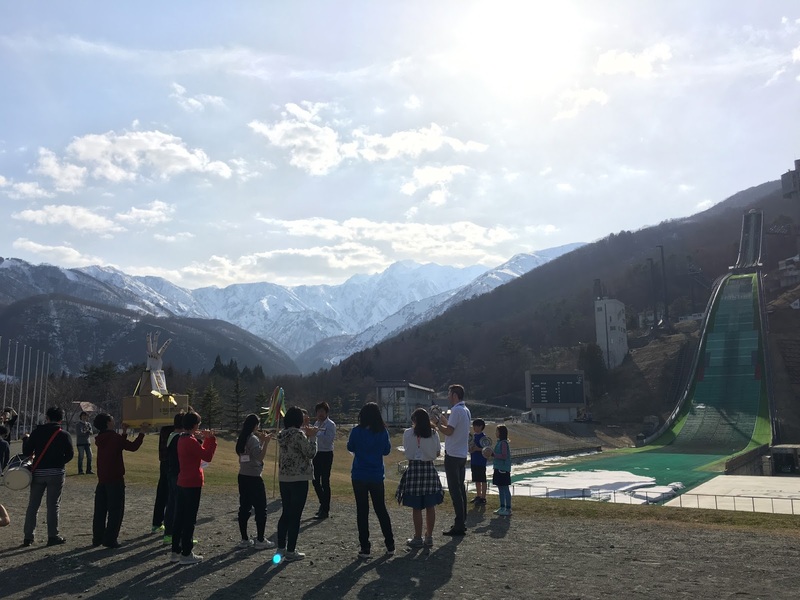 Although he’s currently the headmaster of a school in Poland, he returned to Japan to oversee the spring program and intends to play a major role in HIS’s establishment as a full-time international school with boarding facilities. Chris is eager to see the project develop over the coming years and identifies countless benefits (local and national) as a result of offering the International Baccalaureate program within Hakaba’s unique natural setting. The above images were taken from a slideshow he presented on the final day to demonstrate how he intends to shape the mentality of Japan’s youth. He explained that unlike most nations, Japan’s people operate as one. Individuals don’t like to stand out from others or take charge of situations, often preferring to forgo their needs than potentially cause a stir. On the opposite end of the scale, citizens of many other countries operate singularly; making choices based on how they will be affected personally. While this model is by no means superior, Chris wants to create a hybrid work mentality by inspiring students to confidently break away from the pack, but work closely and remain compatible as a collection.